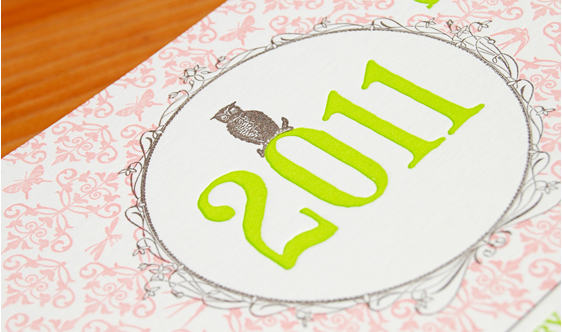 2011 Calendars are in at Sweet Paper! We have been busy little elves searching out fabulous stocking stuffers and gifts to stock in the store for the holidays. We will be transforming the store the right after Halloween into a Holiday Wonderland, but in the mean time here is a peek at some of the amazing 2011 calendars we have for you! 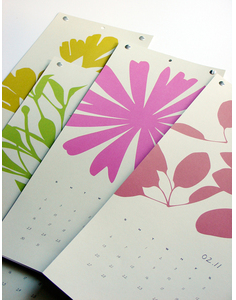 Susy Jack is new to Sweet Paper and we love the clean, modern floral images on her calendars. 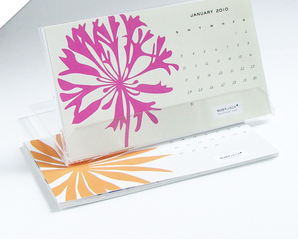 We have both the wall calendar and the desk calendar available, either will brighten any room in 2011! 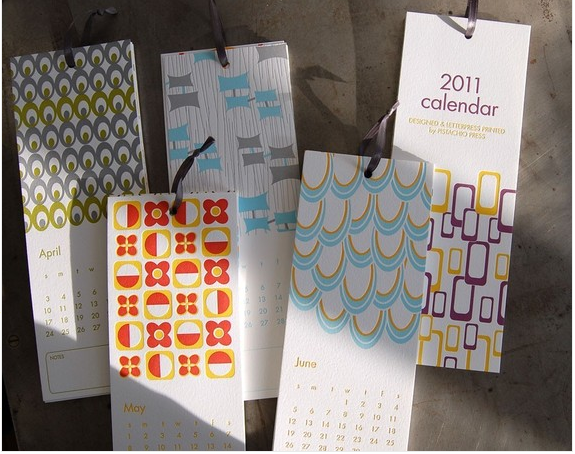 From Wiley Valentine we have 2 beautiful letterpress year calendars, one ocean inspired, the other woodland inspired- both exquisite! and there’s more! 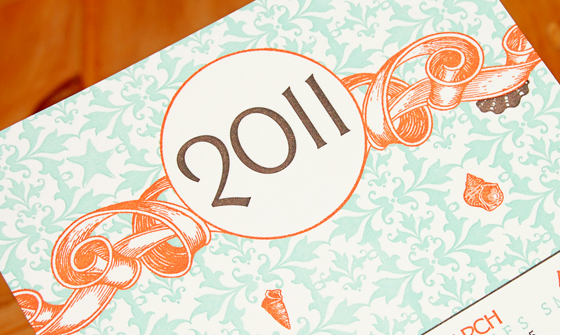 Another letterpress calendar from Pistachio Press, one month per page. This mid-century modern calendar sits on your wall more like a work of art and less like a calendar. 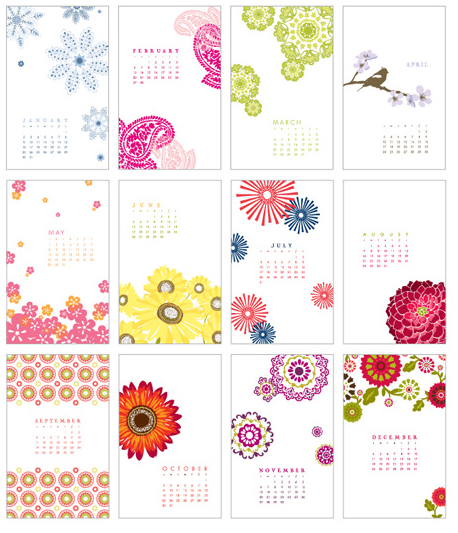 Smudge Ink has a beautifully bright and cheerful wall calendar that we know you’ll love!